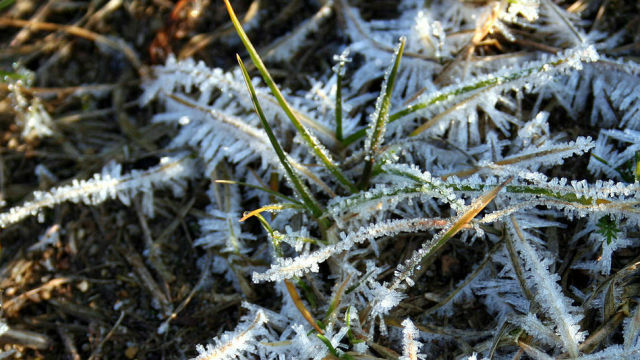 A frost warning is in effect for the inland valleys and lower deserts of San Diego County through Sunday, with nighttime temperatures dropping to 25 to 32 degrees. “A cold storm system passing over the Southwestern U.S. will continue to bring strong northerly winds through Saturday and much cooler conditions this weekend for all areas,” according to the National Weather Service office in San Diego. Highs on Saturday are forecast to be 60 to 65 along the coast and 52 to 57 near the foothills. The weather service said the unusually cold conditions will persist into early next week. Residents were advised that outdoor plants and animals could be harmed.